Turn the clock back one year and focus on the Canadian city of Burnaby, just one name is different in the Girls’ Singles semi-final line up in Buenos Aires, Argentina for the 2017 ITTF Pan American Junior Championships. However, the name of Amy Wang appearing in the last four, following the conclusion of play on Saturday 24th June, is no surprise at all; she is the no.4 seed. The other three names are as per 2016, they are those of Puerto Rico’s Adriana Diaz, Brazil’s Bruna Takahashi and Crystal Wang, also from the United States. Furthermore, like Amy Wang, they reserved their semi-final places as their status predicted; Adriana Diaz, the defending champion is the top seed, Crystal Wang is next in line followed immediately by Bruna Takahashi. The name missing from last year is that of Angela Guan, also from the United States who is now too old for the junior ranks. 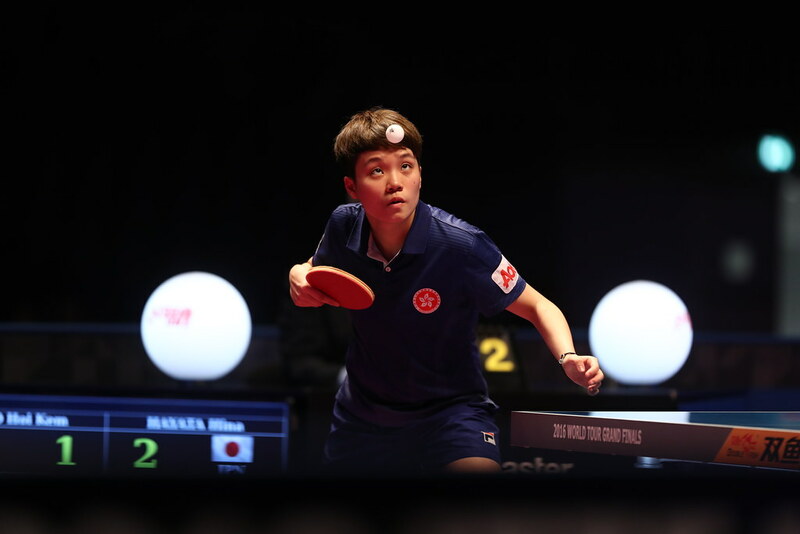 She has been on duty at the Seamaster 2017 ITTF World Tour China Open in Chengdu. Last four places reserved but not without alarm bells ringing for Bruna Takahashi. She was the one member of the quartet to be severely tested. After beating Mexico’s Clio Barcenas in five games (11-6, 7-11, 11-6, 11-5, 11-5), she recorded a straight games win in opposition to Ecuador’s Nathaly Paredes, the no.11 seed (11-8, 11-5, 11-5, 11-4). Comfortable wins, the quarter-final duel was very different. She recovered from a three games to one deficit and the precipice of defeat in the fifth game to beat Rachel Sung of the United States, the no.7 seed (11-8, 11-13, 7-11, 9-11, 12-10, 11-7, 11-3). Also, to a slightly lesser extent, Crystal Wang was tested. Following a straight games success against Ecuador’s Emely Quinllin (11-8, 11-9, 11-6, 12-10), she needed six games to overcome the Dominican Republic’s Esmerlyn Castro, the no.18 seed (4-11, 11-9, 11-3, 11-7, 8-11, 11-7). A difficult hurdle overcome; in the quarter-final round, life was more comfortable; Crystal Wang beat Canada’s Ivy Liao in five games (11-4, 11-3, 11-5, 4-11, 11-3). Meanwhile, for both Adriana Diaz and Amy Wang the passage to the final was relatively smooth and untroubled. Success in the opening round against Brazil’s Tamyres Fukase (11-4, 11-3, 11-8, 11-2), Adriana Diaz accounted for Grace Yang of the United States, the no.10 seed (11-9, 11-4, 11-8, 11-7), prior to ending the progress of surprise quarter-finalist, the Dominican Republic’s Cinthya Sanchez (11-4, 11-8, 11-3, 11-3). Emphatic wins from Adriana Diaz; it was the same from Amy Wang. She beat Rosa Torres, like Cinthya Sanchez from the Dominican Republic (11-4, 11-2, 13-11, 11-7) before ousting Paraguay’s Leyla Gomez, the no.13 seed (11-7, 12-10, 11-5, 11-6) and Brazil’s Alexia Nakashima, the no.5 seed (11-5, 10-12, 11-3, 11-4, 11-1) to reserve her last four place. At the semi-final stage Adriana Diaz meets Amy Wang, Crystal Wang opposes Bruna Takahashi. Play concludes on Sunday 25th June.